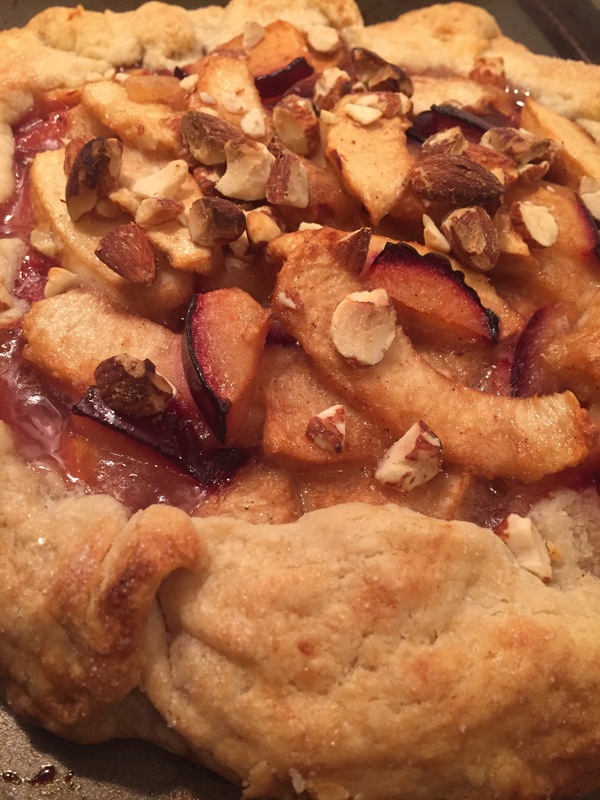 Peaches, plums & berries…oh my! Summer fruits are my favorite fruits. 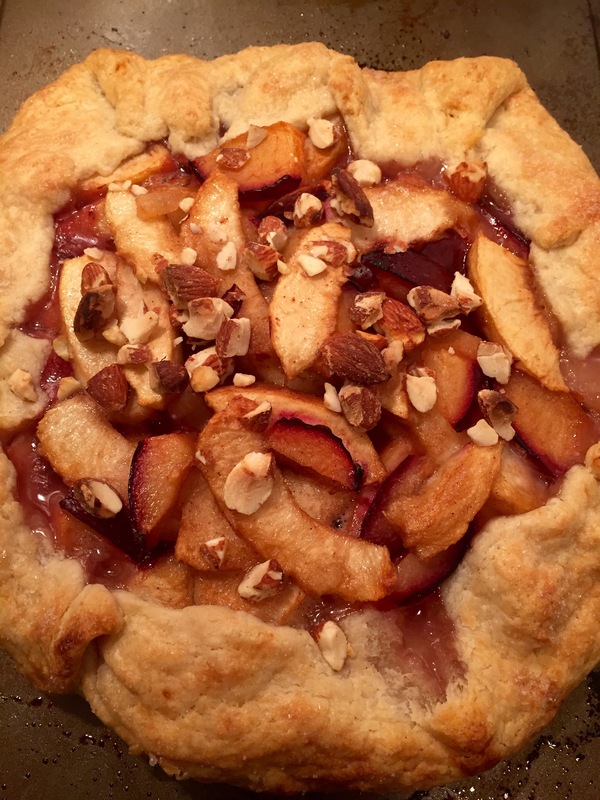 I was in the mood to make a summery dessert, and since I’m not the greatest baker in the world I decided on making a galette; it seemed easier than baking a cake or making a brûlée. I had never made a galette before, so I was a little timid at first…but it ended up being extremely simple in the end! For the galette pate brisee or “crust”, I used a recipe from Food & Wine. It was flaky and golden brown, exactly as I had imagined. The filling I made was completely impromptu and dependent on the fruits I found at my local grocer. 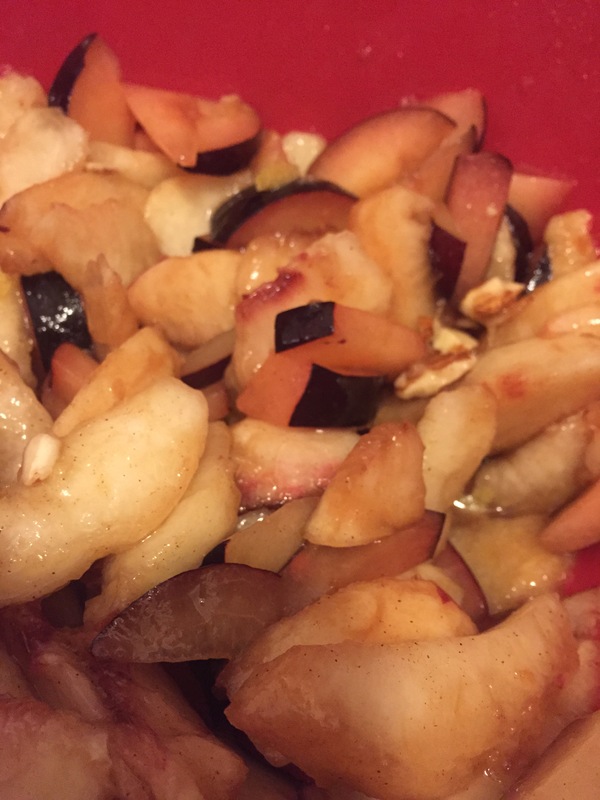 Plums, nectarines & peaches were the star, and I added some kicker ingredients in as well! Serve slices of the warm galette with whipped cream or it’s tasty on its own. 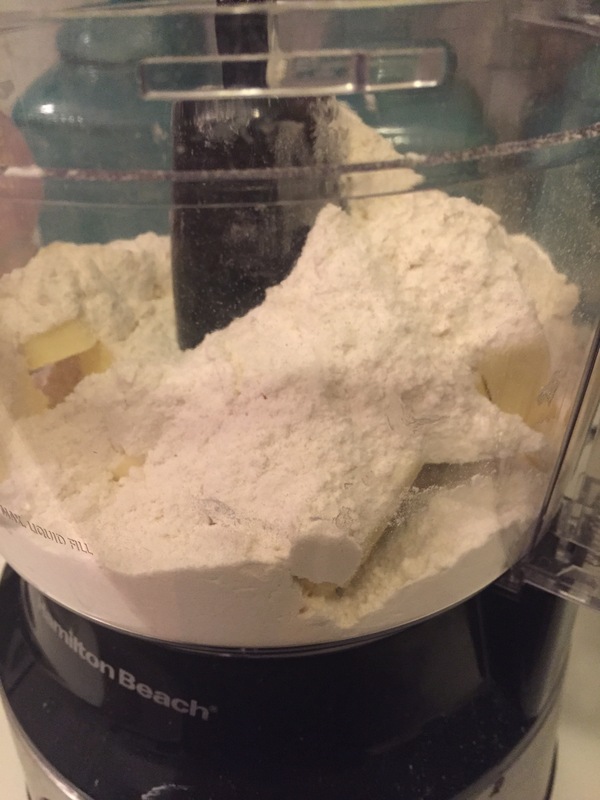 Make the pate brisee (crust): In food processor, blend butter, flour & salt for 5 seconds. Add ice water (without ice) and blend 5 more seconds. Mixture will be crumbly. 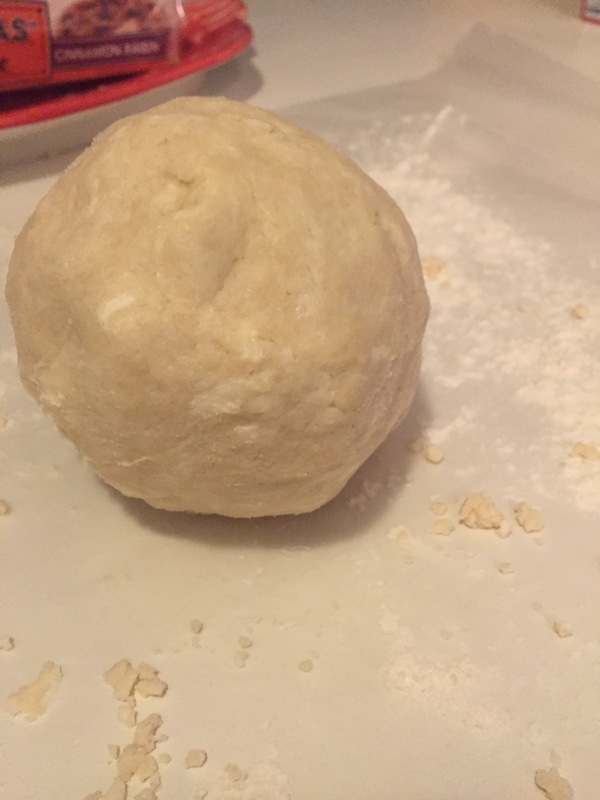 Remove dough from food processor and shape into ball. On lightly floured surface (I used wax paper), roll out dough into a 16″x18″ oval that’s about 1/8″ thick. Place dough onto large baking sheet and place in fridge; chill 20 minutes. Preheat oven to 400 degrees. 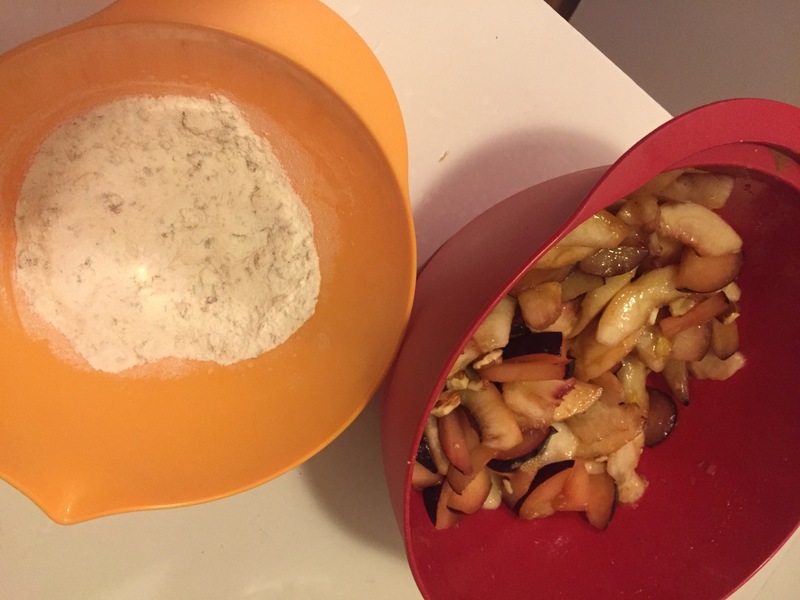 Filling: In large bowl, combine peaches, plums, nectarines, ginger, cinnamon, lemon peel & 1/3 cup sugar. 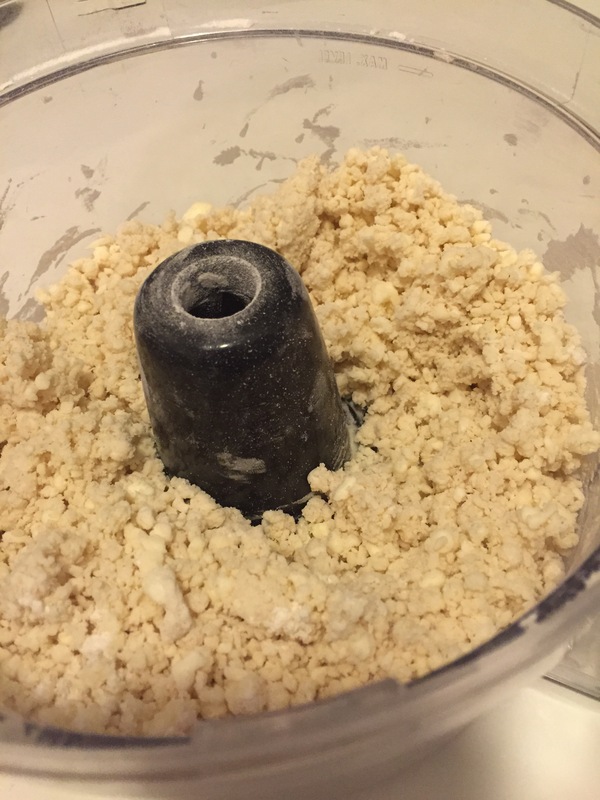 In small bowl, combine 1/4 cup sugar, ground almonds, and flour. 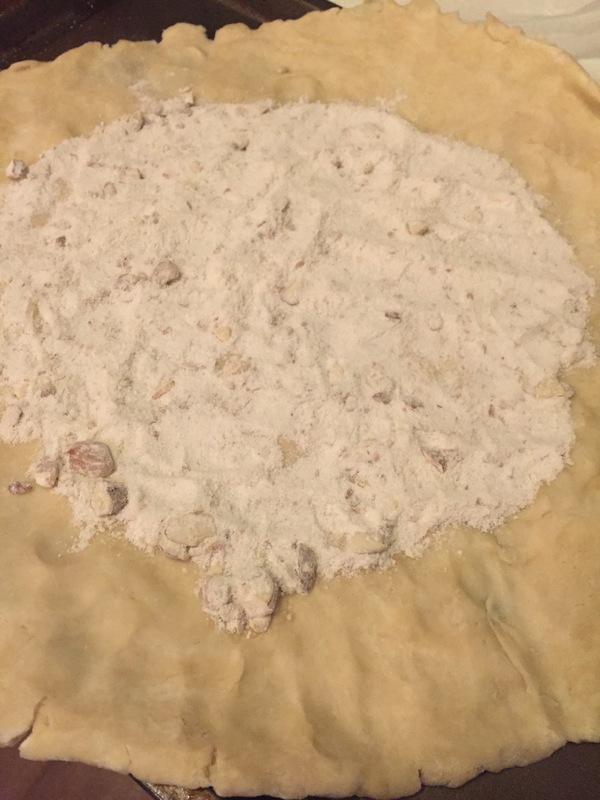 Spread almond mixture onto dough, making sure to keep 2″ of dough around the mixture. Arrange fruit mixture on top of the almond mixture, and dot with butter. Sprinkle with extra chopped almonds. 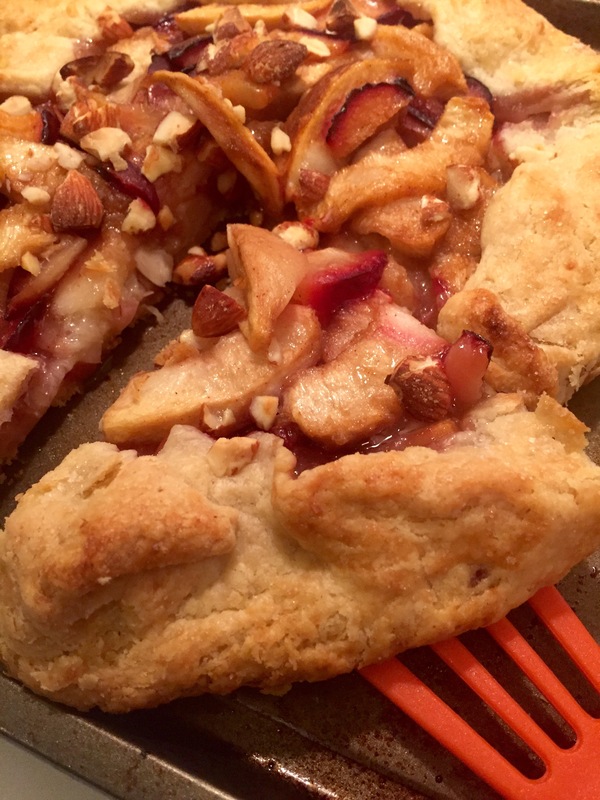 Fold the edge of the dough up around the fruit to create a 2″ border. Sprinkle border with sugar. 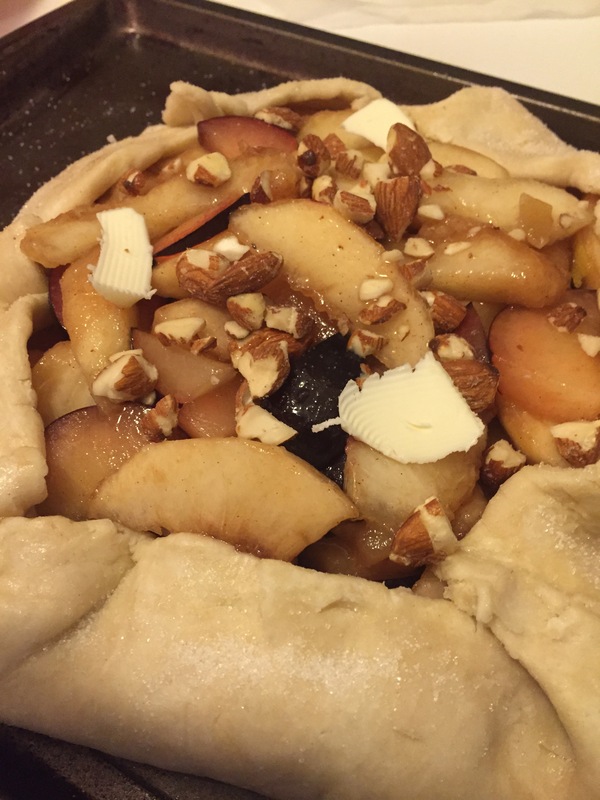 Bake the galette in the middle of the oven for about 1 hour or until fruit is soft and edges are golden brown. Juices may leak out, but that’s ok. 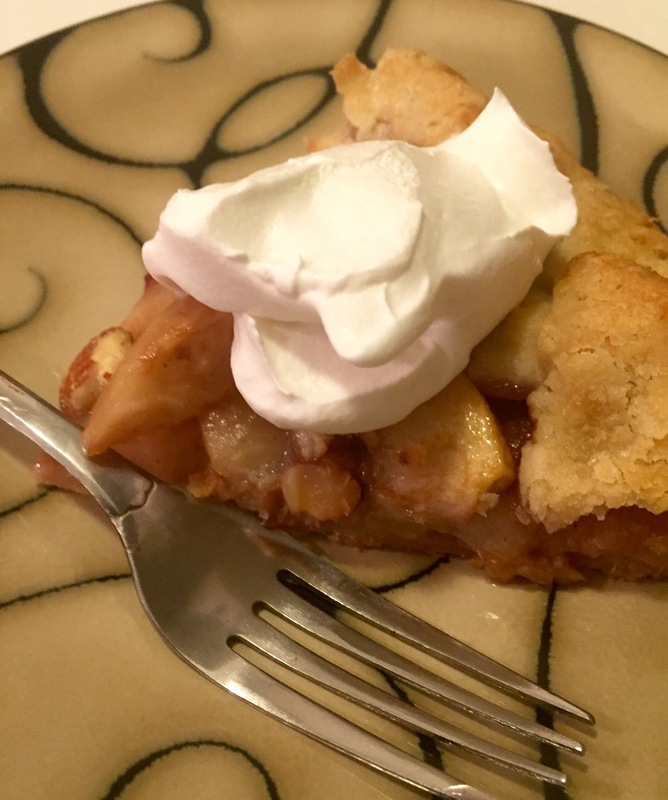 Serve at room temperature or warm with whipped cream. I’m so excited that this came out perfect. I can never seem to bake things very well, so it was a huge surprise when I delivered on the first try! Hope you enjoy!